Robert Ader, PhD, MD (hc), Professor of Psychiatry, University of Rochester; Distinguished University Professor at the University of Rochester School of Medicine and Dentistry. Dr. Ader held an NIMH Research Scientist Award for 30 years (1969-99). He holds honorary MD and DSc degrees. He edited Psychoneuroimmunology (1981) and was the senior editor of the second (1991), third (2001) and fourth (2006) editions. He serves on several Editorial Boards and was Editor-in-Chief of Brain, Behavior and Immunity from 1986 through 2002. Dr. Ader is a past President of the American Psychosomatic Society, the International Society for Developmental Psychobiology, the Academy of Behavioral Medicine Research, and was Founding President of the Psychoneuroimmunology Research Society. In Memoriam: After a truly valiant fight with multiple cancers, Bob died this past year. During the years he was ill, he remained what he always had been: intellectually vibrant and generous of mind. During his last few months, Bob’s friends and colleagues created a Festschrift book for him so he could know how much he meant to all of us. My entry can be accessed here. Please know that Bob is still very much with us and we hope to carry some his ideas to fruition with our project on partial reinforcement. Kimberly Cote, PhD is a Professor of Psychology and Neuroscience at Brock University in St. Catharine’s, Ontario, Canada. She supervises MA and PhD students in the behavioral neuroscience stream of the graduate program in Psychology. She is Director of the Sleep Research Laboratory at Brock University, a 3-bedroom facility specifically designed for multiple-channel recording of EEG and event-related potentials in human sleep and wakefulness. Dr. Cote received a Masters of Science degree from the Institute of Medical Science at the University of Toronto in 1995, and a PhD in Experimental Psychology from the University of Ottawa in 1999 (under the supervision Dr. Ken Campbell). She then did post-doctoral work in Zurich, Switzerland prior to joining the Faculty at Brock University. The general focus of Dr. Cote's program of research is the study of sleep, performance, and cognition. She has published on topics such as sleep deprivation; sleep onset in good and poor sleepers; benefits of napping; sleep and memory; and brain information processing capabilities during sleep. Dr. Cote's research is funded by the Natural Science and Engineering Research Council (NSERC) of Canada. She has received awards such as: the New Opportunities grant from the Canadian Foundation for Innovation (CFI), the Premier's Research Excellence Award from the Government of Ontario, and the Roger Broughton Young Investigator Award for early contributions to sleep research in Canada. Dr. Cote served on the Executive of the Canadian Sleep Society (CSS) from 2002-2010, including a term as Vice-President Research in 2007-2010. She has participated on grant review panels for NSERC, CIHR, and NIH. Dr. Ellis is a Professor of Sleep Science and Director of the Northumbria Sleep Laboratory and Clinic in the United Kingdom. 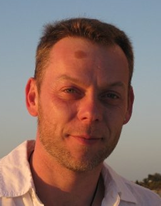 He is a qualified Somnologist - Expert in Behavioural Sleep Medicine from European Sleep Research Society and a Practicing Health Psychologist under the HCPC. He splits his time between his basic research interests: the pathophysiology of sleep disorders (Insomnia, Restless Legs Syndrome, and Circadian Rhythm Disorders), the natural history of Insomnia, and his applied work on Cognitive Behavioral Therapy for Insomnia (CBT-I). Within the latter framework he examines the impact of novel adjunct therapies, the influence of social factors on adherence, and the effective delivery of CBT-I in complex cases and environments. He has worked within the National Health Service in the United Kingdom, delivering CBT-I to individuals with a range of physical and psychological conditions and serves on the editorial boards of Behavioral Sleep Medicine and Sleep Health. He has consulted for various industries and third-sector organizations and provided national guidelines to the British and Scottish governments on the identification and management of sleep problems. He is a serious advocate of public engagement and professional education with regard to behavioral sleep medicine and regularly trains CBT-I to clinicians and primary care physicians in the United Kingdom. 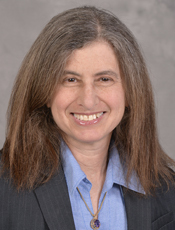 Dr. Gehrman is an assistant professor of psychology in the Department of Psychiatry. He is also a member of the Penn Sleep Center and the Philadelphia VA Medical Center. He completed his graduate training in clinical psychology at the University of California, San Diego including a pre-doctoral internship at the Durham VA Medical Center and a post doctoral fellowship in sleep medicine at Penn. Dr. Gehrman’s clinical work focuses on the delivery of cognitive behavioral and chronotherapeutic interventions for insomnia, circadian rhythm disorders, and other sleep disorders. At the Philadelphia VA he has an active telehealth program where he delivers insomnia treatment to Veterans at other VA facilities using videoconferencing technology. Dr. Gehrman’s research focuses on uncovering the mechanisms of insomnia as well as expanding treatment options. Some of his recent and current studies include an examination of stress reactivity in individuals with insomnia compared to good sleepers, randomized trials of imagery rehearsal treatment for nightmares in Veterans with PTSD, and newer work on the genetics of insomnia. He recently was involved in one of the first GWAS studies of insomnia, which is currently in the publication process. He has over 40 peer-reviewed articles and a number of published book chapters. In terms of BSM training, he co-leads a post doctoral fellowship for psychologists that combines both adult and pediatric BSM clinical training. He also leads a weekly BSM webinar that involves case discussion and education in sleep medicine topics. Dr. Gehrman is the current chair of the Trainee Education Activities Committee (TEAC) of the Sleep Research Society. Colin A. Espie PhD, is Professor of Clinical Psychology and Director of the University of Glasgow Sleep Research Laboratory (UG-SRL). Dr Espie has substantial experience in sleep disorders medicine and a specialized expertise in behavioral sleep medicine, particularly in insomnia. He has served on a number of American Academy of Sleep Medicine work groups, and has previous and current involvements with the British Sleep Society and the European Sleep Research Society. 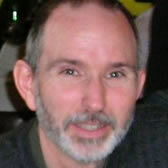 He recently successfully led the UK bid for the ESRS meeting to be held in Scotland in 2008. He is on the Editorial Boards of six leading journals in the general field of psychopathology, including the board of Behavioral Sleep Medicine. He has authored three books related to insomnia and his dedicated research interests include the cognitive behavioral treatment of insomnia and experimental models of the etiology of insomnia. Presently, Dr. Espie and Dr. Perlis are working on completing the study above on Attention bias as an etiologic factor in primary & secondary insomnia. Dr. Grandner is the Director of the Sleep and Health Research Program and an Assistant Professor in the Department of Psychiatry in the University of Arizona College of Medicine - Tucson. He is Board-Certified in Behavioral Sleep Medicine. He completed his graduate training in Clinical Psychology at San Diego State University and the University of California, San Diego, including an APA internship with the Behavioral Medicine service at the San Diego VA Healthcare System and Outpatient Psychiatric Services at UCSD. Subsequently, he completed an AASM-accredited fellowship in Behavioral Sleep Medicine at Penn in the context of an NHLBI-sponsored postdoctoral fellowship through the Division of Sleep Medicine. 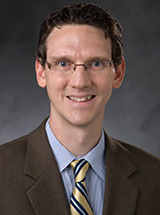 His research interests include (1) adverse cardiovascular, metabolic, and behavioral health outcomes associated with short sleep and/or insufficient sleep, (2) biopsychosocial determinants of short sleep, insufficient sleep, and poor sleep quality, and (3) behavioral interventions for sleep as a domain of health behavior. In summary, his research aims to better understand the downstream adverse outcomes of insufficient or poor quality sleep, the upstream determinants of sleep and sleep behaviors, and how knowledge of sleep determinants can inform behavioral interventions for adverse outcomes. This work bridges the bench to bedside to community to population divide, including mechanistic and translational studies of sleep and cardiometabolic disease risk, clinical phenotyping and intervention studies, studies of sleep and health disparities, and epidemiologic studies of sleep and cardiovascular and metabolic disease. Read more about his work at http://www.michaelgrandner.com and http://www.sleephealthresearch.com. Dr. Gooneratne’s research interests are centered around studying the nature of sleep disorders in the elderly. While many older adults complain of difficulties with sleep, it is an area about which modern medicine has only a limited understanding. Funded initially by a National Institute on Aging Mentored Research Career Development Award (K23) and a National Center for Complementary and Alternative Medicine Research Award (R01), he is pursuing research examining the role of melatonin, a hormone secreted by the pineal gland, in sleep in the elderly. Dr. Gooneratne also has a strong interest in the attitudes of senior citizens towards their sleep problems and how their background/ethnicity informs their decisions. This project has been funded by a Hartford foundation/Penn Center for Excellence pilot grant. Dr. Gooneratne also runs a Sleep Disorders Clinic for Seniors in an effort to address the medical needs of older patients with sleep disorders. In addition, Dr. Gooneratne is the Associate Program Director of the Center for Human Phenomic Science of the University of Pennsylvania's Clinical and Translational Science Award, which assists in the conduct of over 190 clinical research studies. He also helps to coordinate the research activities of the Geriatric fellows in the Division of Geriatric Medicine and mentors research fellows in the Division of Sleep Medicine. Presently, Dr. Gooneratne and Dr. Perlis are working on a NIH funded pilot study on how insomnia symptoms vary with CPAP and sham-CPAP in individuals with Sleep Disordered Breathing. 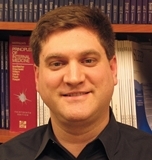 Jeffrey M. Greeson, Ph.D., is an Assistant Professor of Clinical Psychology in Psychiatry at the Perelman School of Medicine at the University of Pennsylvania. He received his B.A. in Psychology from Swarthmore College in 1997, an M.S. in Biomedical Chemistry from Thomas Jefferson University in 2001, and his Ph.D. in Clinical Psychology from the University of Miami in 2006. He was on faculty at Duke University Medical Center from 2006-2014, before joining Penn Psychiatry. Dr. Greeson's research interests include the effects of stress on mental and physical health, and how effectively reducing stress can improve health and potentially prevent disease. His research on stress and Mindfulness-Based Stress Reduction (MBSR) has been funded by the National Center for Complementary & Alternative Medicine and the National Heart, Lung & Blood Institute at the National Institutes of Health (NIH). As a licensed psychologist who specializes in Health Psychology, Dr. Greeson provides psychotherapy to patients at Penn who present with co-morbid mental and medical disorders, many of which are stress-related. Dr. Greeson is a member of the American Psychological Association, the Association for Psychological Science, the American Psychosomatic Society, and the Association for Behavioral and Cognitive Therapies. 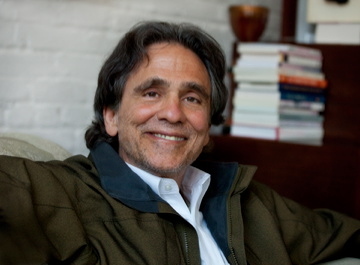 He has published nearly 50 peer-reviewed papers and book chapters, and has given over 100 invited presentations to students, researchers, and health care professionals on the topics of stress, mindfulness, and mind-body health. Dr. Jungquist’s collaboration with Dr. Perlis started in 2003 with the NINR funded study “Cognitive Behavioral Therapy for insomnia in Patients with Chronic Pain”. 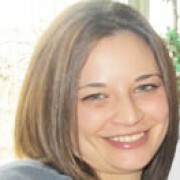 She served as a mentored co-investigator during her doctoral program at the University of Rochester School of Nursing. She successfully defended her dissertation in 2008, receiving a PhD in Health Practice Research. This study was one of the first to provide evidence of the important role nurses have in the delivery of CBT-I in clinical practice as well as the effectiveness of CBT-I in patients with chronic pain. Over the course of this study, Dr. Perlis along with Drs. Jungquist, Posner and Smith wrote “Cognitive Behavioral Treatment of Insomnia: Session by Session Guide”, which has now been published in several languages and sold several thousand copies. While working with Dr. Perlis at the University of Rochester, they developed the “Sleep Disorders Symptoms Checklist” (SDS-CL) that continues to be refined and validated. Dr. Jungquist has completed a postdoctoral fellowship in cognitive science and neuroimaging where she is exploring the neural relationship of the effects of sleep loss on the painful experience. She is currently faculty at the University of Buffalo where she continues her research in the relationship of sleep and pain as funded by the Garmin Endowment. Dr. Jungquist is an active member of the American Pain Society, Association for Pain Management Nurses (ASPMN), Sleep Research Society, Society for Behavioral Sleep Medicine, American Academy of Sleep Medicine, Sigma Theta Tau, College of Nurse Practitioners. 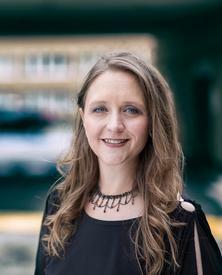 She is currently serving on the expert panels of ASPMN developing and disseminating guidelines for monitoring patients for opioid induced respiratory depression; and the Association for Nurse Credentialing Certification where she is a content expert in pain and sleep to develop questions for examinations. Dr. Jungquist continues for clinical practice at the Thompson Health Sleep Disorders Center in Canandaigua, NY. Presently, Dr. Jungquist and Dr. Perlis are working on a validation project of the SDS-CL. Ted Kaptchuk is a Professor of Medicine and Professor of Global Health and Social Medicine at Harvard Medical School and a member of the research faculty at Beth Israel Deaconess Medical Center. Ted is deeply committed to multi-disciplinary research and has completed pioneering clinical research in asthma, irritable bowel syndrome, and chronic pain. 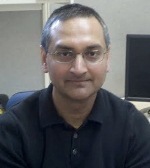 He has conducted significant neurobiological studies of the placebo effect, produced historical analyses of the placebo effect and placebo controls, published ethical assessments of the use of placebos in clinical practice and research and designed the first studies of patients’ experiences while being treated by placebos. Ted is also a lecturer in Department of Global Health and Social Medicine at Harvard Medical School. Ted received a BA in East Asian Studies from Columbia University in 1968 and graduated with a degree in Chinese medicine from the Macao Institute of Chinese Medicine (China) in 1975. From 1999 to 2011, Ted was Associate Director of the Osher Research Center at Harvard Medical School. He was a member of NCCAM’s National Advisory Council from 1999 to 2010 and an expert panelist for the FDA from 2001 to 2005. Dr. Roscoe received his Ph.D. in Social Psychology in 2000 from the university of Rochester and is currently a Research Associate Professor of Radiation Oncology at the University of Rochester School of Medicine and Dentistry in Rochester, New York. His specialty is the study of symptom relief in patients receiving chemotherapy or radiation therapy. He is one of two Co-Principal Investigators on an NCI supported RT25 Cancer Control Research Training Grant and one of three co-investigators on the University of Rochester Cancer Center Community Clinical Oncology Program (URCC CCOP) Research Base that is sponsored by the NCI to conduct large, multi-center, clinical trials investigating symptom management therapies for cancer. 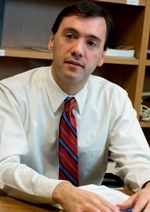 He has received five nationally competitive research awards, including an American Cancer Society career development award to examine disturbances of sleep architecture in breast cancer patients undergoing chemotherapy and an NCI-supported R01 testing the efficacy of a combined drug and behavioral intervention in reducing insomnia and fatigue in cancer survivors. Dr. Roscoe has 60 peer-reviewed publications on issues of symptom management, and many examine the effects of behavioral and/or pharmaceutical interventions in cancer patients. Presently, Dr. Roscoe and Dr. Perlis are working on completing the study above on CBT +/- Modafinil for Insomnia and Fatigue following Chemotherapy. Dr. Sheila Garland is a Clinical Psychologist and Assistant Professor of Psychology and Oncology at Memorial University of Newfoundland. She has been involved in the development, delivery and evaluation of exploratory and evidence-based mind-body interventions including cognitive behavioral therapy for insomnia (CBT-I), mindfulness-based stress reduction (MBSR), acupuncture, healing arts, and residential cancer retreat programs. Her body of work has spanned numerous tumor groups and the cancer trajectory from newly diagnosed to end of life. Dr. Beidas’s research focuses on the dissemination and implementation of evidence-based practices (EBPs) for youth psychiatric disorders in community settings. Dr. Beidas has published over 50 articles and is the co-editor of the only book published on EBPs in youth, Dissemination and implementation of evidence-based practices in child and adolescent mental health. Dr. Beidas’s work has been funded by the National Institutes of Health and the Substance Abuse and Mental Health Services Administration. Dr. Beidas is deeply committed to partnering with community stakeholders to understand the best way to implement evidence-based practices and improve children’s mental health services across a variety of settings including community mental health, pediatric primary care, and schools. Dr. Beidas holds a bachelor of arts in psychology from Colgate University and a doctorate of philosophy in psychology from Temple University. She is a licensed clinical psychologist in the state of Pennsylvania. Dr. Beidas is an alumnus fellow of the NIH funded Training Institute in Dissemination and Implementation Research in Health (TIDIRH), Implementation Research Institute (IRI), and the Child Intervention and Prevention Services (CHIPS) Fellowship. She is also the recipient of a number of awards, including the ABCT President’s New Researcher Award in 2015. 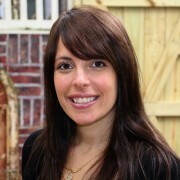 Courtney Benjamin Wolk, PhD, is a licensed Clinical Psychologist and Postdoctoral Researcher at the Center for Mental Health Policy and Services Research in the Department of Psychiatry at the University of Pennsylvania. She received her BA in Psychology from The Ohio State University in 2004, MA in Clinical Psychology from Temple University in 2008, and PhD in Clinical Psychology from Temple University in 2012. Courtney’s graduate school research focused on the development and evaluation of cognitive-behavioral therapies (CBT) for youth anxiety. Her dissertation, a long-term follow-up of youth treated with CBT for child anxiety, was funded by an F31 award. She completed her APA-accredited predoctoral internship in Clinical Psychology at Children’s National Medical Center in Washington, DC. 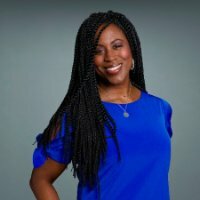 This was followed by a postdoctoral fellowship in which she worked as a trainer, consultant, and researcher within an established partnership between the city of Philadelphia’s Department of Behavioral Health and the Aaron T. Beck Psychopathology Research Center at the University of Pennsylvania. In this role, she obtained experience training community and school-based therapists to conduct CBT for a variety of presenting problems and populations. Additionally, this experience afforded opportunities to collaborate with providers and stakeholders. Eager to immerse herself more fully in implementation science research, she applied for and was awarded an F32 mentored by Dr. David Mandell. This project is designed to bridge gaps identified during her experience working with school providers and will test an implementation strategy to improve team functioning among mental health teams in schools. Dr. Cheatle is Director of Behavioral Medicine at the PENN Pain Medicine Center and Director, Pain and Chemical Dependency Research at the Center for Studies of Addiction, University of Pennsylvania. He is an Associate Professor of Psychology in Psychiatry, Perelman School of Medicine, University of Pennsylvania. Dr. Cheatle specializes in the evaluation and treatment of chronic pain disorders from a biopsychosocial perspective and has been involved in extensive research including a NIH funded 5-year longitudinal study of the development of addiction in patients initiating prescription opioid therapy for chronic pain and as PI of a currently funded NIH/NIDA grant assessing phenotypic and genotypic markers of prescription opioid abuse. His main focus of research is pain management and addiction in vulnerable populations (HIV/AIDS, psychiatric patients) and pain and suicidal ideation and behavior. Dr. Williams is a behavioral research scientist and an assistant professor at NYU School of Medicine. Trained in public health, health education, and health disparities research, Dr. Williams’s research primarily focuses on increasing awareness about the importance of sleep health among minority patients diagnosed with sleep disorders and physical and mental comorbidity, increasing access to treatment for minority populations diagnosed with sleep disorders, and investigating the determinants of sleep disturbance among minority populations. Currently, she is the principal investigator of a study that is exploring the barriers and facilitators of adherence to treatment among African American and white patients duly diagnosed with obstructive sleep apnea and insomnia. Dr. Williams has worked at many academic institutions including the City University of New York, Columbia University, and Temple University. She has been interviewed for Sleep Magazine Review, the Journal for Sleep Specialist. Her research has appeared in over 50 scientific journals and conference proceedings including SLEEP, Sleep Health, Sleep Medicine, and Clinical Sleep Medicine. In addition to publishing peer-reviewed work, she has been invited to guest lecture at Yale University, Howard University, the University of North Texas, and others, to discuss her work on sleep health among minority populations. She is a native of Brooklyn, and lives in Teaneck, New Jersey with her husband and two children. My primary research centers on screening for sleep disorders as a way of improving clinical outcomes and reducing overall cost of health care. Collaboration is key to these efforts. Validation and implementation of a brief comprehensive multi-sleep-disorders screening questionnaire for use in primary care. Identifying and associations between sleep disorders and other chronic diseases and using them to develop disease management protocols for primary care practitioners and registered nurses. Improving end-of-life care by identifying and managing sleep disorders.